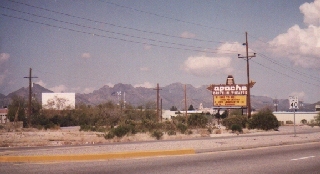 The Apache Drive-In is owned by Hollis Cinemas, which also owns the enclosed cinema, Hollis Cinema 4. They have a single screen that shows a double feature from Friday to Sunday night. 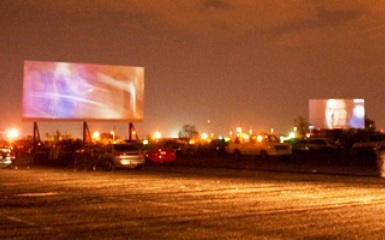 The Glendale 9 Drive-In has nine separate screens, showing nine different double features per night. 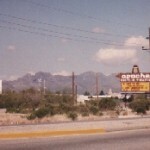 It is a part of the West Wind Theater chain, a chain that owns eight drive-ins in three states, including the Scottsdale 6 in Arizona. It has a special family fun night on Tuesdays. 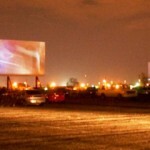 During the day, the Glendale 9 Drive-In doubles as a plublic market, with a swap meet and farmer’s market. 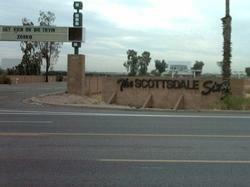 The Scottsdale Six is run by West Wind Theaters, the same chain that runs the Glendale 9 Drive-In. It shows six double features per evening, all of first-run films. They have a special family fun night on Tuesdays.